Organisations change faster than ever. 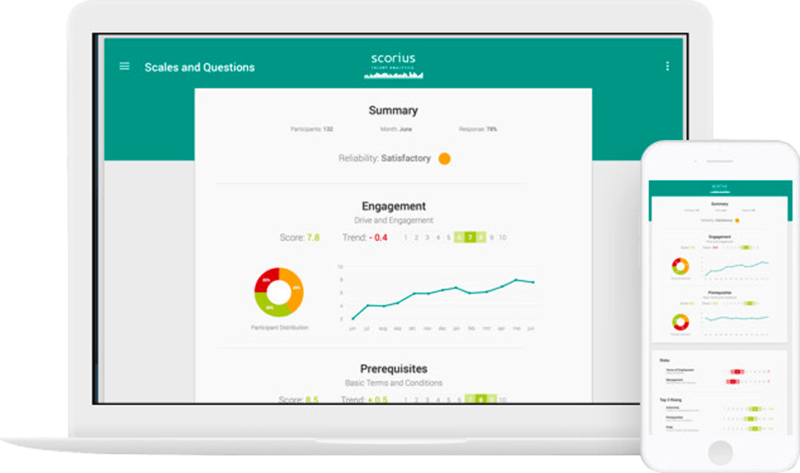 With the Scorius change monitor you can measure how employees experience change within your organisation. Change programs are complex. Sometimes you can go faster, sometimes you have to slow down. With the change monitor there is always real time insight into change behaviour and change acceptance. You can see which teams are doing well and which teams need more attention. Short and frequent surveys to measure change behaviour. Easy to administer, randomized sampling for frequent measurement. 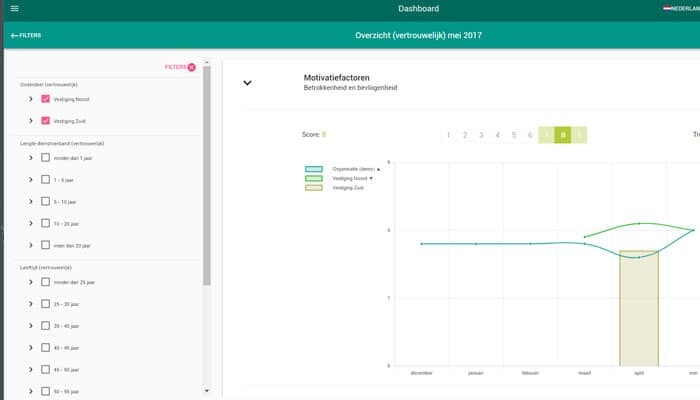 Dynamic questionnaires: only relevant question for every team. 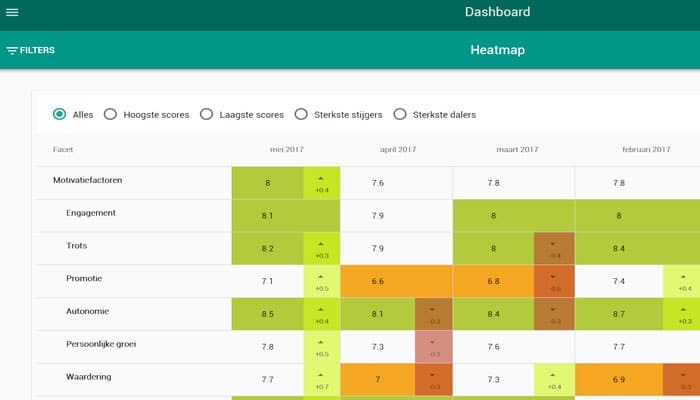 Online dashboard for continuous oversight and comparing teams.